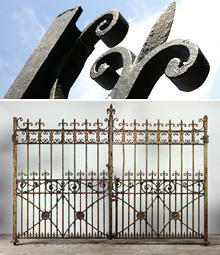 Entrance gates can give a first statement about the architectural merits of a building. 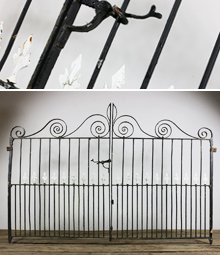 They have a dual function of providing security as well as being decorative in their own right. 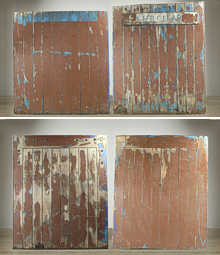 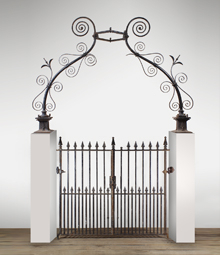 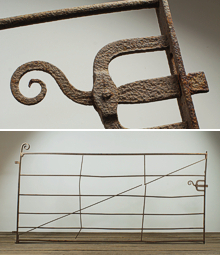 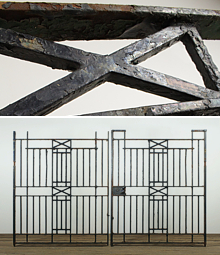 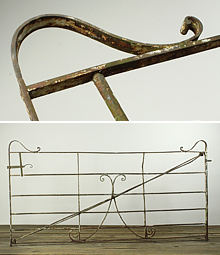 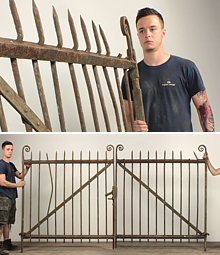 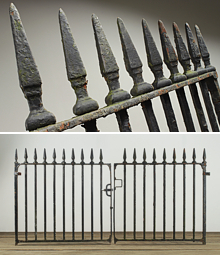 Prior to the mid 1800s, gates were made from wrought iron, which was literally hammered and forged into shape. 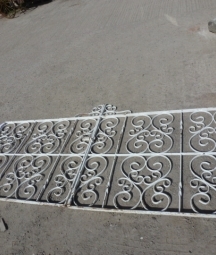 A good quality sets of gates would take many months of work by a team of artisans. 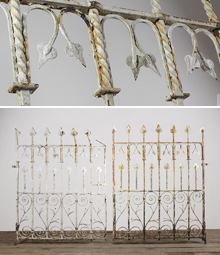 Each element would have to be heated and hammered repeatedly to achieve the shape required. 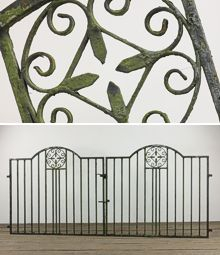 With the development of iron casting in the 19th Century, many Victorian gates include some elements of cast iron, such as fleur de lys or spear topped finials. 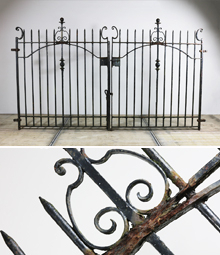 Many of the bigger gates would pivot on a pin set into the ground, rather than be wholly supported by the gate post. 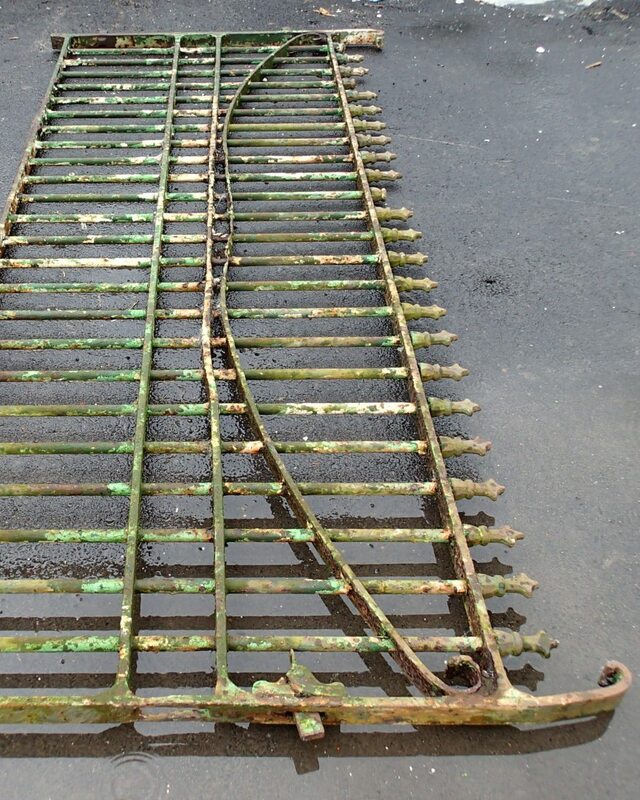 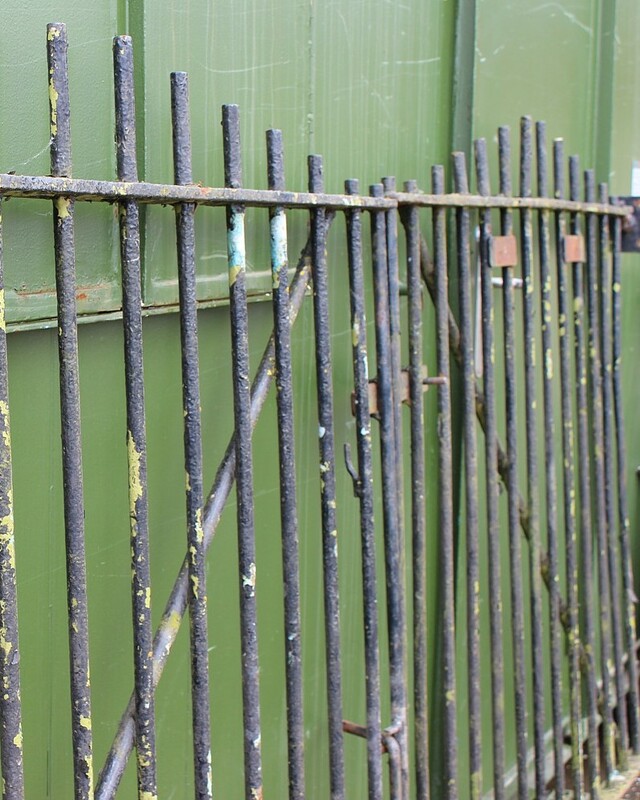 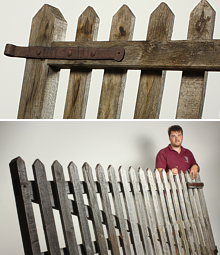 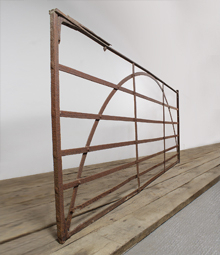 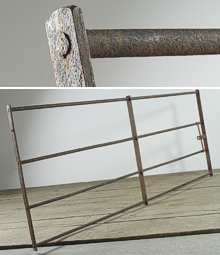 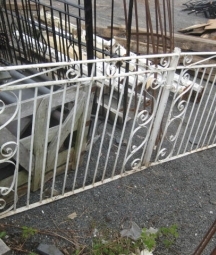 We always have a good range of antique drive gates available for sale. 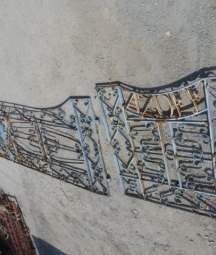 These range from simple five bar wrought iron field gates through to highly elaborate 18th and 19th Century grand entrance gates. 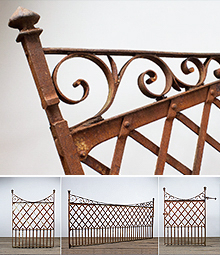 There is simply no comparison between these beautifully hand crafted works of art and the mass produced tubular steel examples available today. 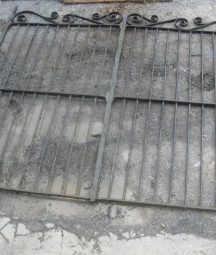 Most of the gates can be automated with the addition of suitable rams and control gear.